Fort Lauderdale Florida is a large city in the heart of Broward County between Pompano Beach and Hollywood Florida, which is slightly interrupted by the city of Oakland Park. Known as the “Venice of America” for its intricate system of canals and waterways, Fort Lauderdale is a truly gorgeous ocean-side city centered on enjoying the salt water and sunshine of South Florida, whether you’re boating, fishing, or enjoying pristine white sand beaches. Fort Lauderdale is popular for its urban entertainment with all of the best restaurants, retail shops, night clubs, bars, and so much more. Enjoy cruising historic Las Olas Boulevard, take a gondola ride on pristine canal waters, check out the arts & entertainment district along Riverwalk, or take a step back into the early 1900’s at the authentic historic residence of the Stranahan House which boasts a stunning interior filled with antiques, in Fort Lauderdale. Plus Fort Lauderdale is home to an international airport. Or, browse all the Fort Lauderdale communities if you prefer. One of the qualities that make Fort Lauderdale Florida such a fantastic city is the broad variety of real estate options that are available. 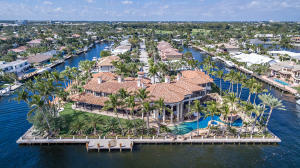 Thanks to the intricate canal system and position on the Atlantic Ocean, it is very feasible to locate Fort Lauderdale waterfront property for sale. There are Fort Lauderdale real estate options that vary from beach front condos to luxury estates, so there is something for everyone in Fort Lauderdale. There is a litany of Fort Lauderdale condos available, but some of the highlight condo buildings include Southpoint, Point of Americas, Fountains on Ocean, Plaza South, Jackson Tower, Las Olas Beach Club, Las Olas Grand, Las Olas River House, and Plaza East. Fort Lauderdale communities such as Bay Colony and Imperial Point offer single family homes and condos, plus the expansive community of Coral Ridge that offers single family homes and townhomes, as well as condos. Many of these Fort Lauderdale condos have ocean or waterway access and views, and each of them boast a unique set of amenities ranging from casual beach side living to resort style full service. With a broad variety of anything from palatial waterfront estates to modest single-story Fort Lauderdale homes, there is inventory to satisfy any taste or budget at communities like Colee Hammock and Rio Vista which offer both single family homes as well as townhomes, Coral Ridge which has single family homes, townhomes, and condos, as well as Bay Colony, Imperial Point, and Seven Isles which all offer single family homes only. 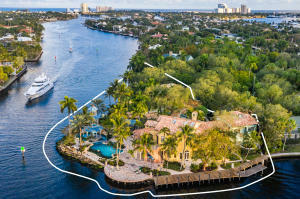 Many Fort Lauderdale homes are located on the water thanks to the intricate canal system that weaves through the city. There is always something to do in Fort Lauderdale since there are endless attractions and entertainment opportunities. Most people relish the beautiful white sand beaches in Fort Lauderdale the most, but there is a rich cultural backdrop to the city as well. Some of the cultural attractions in Fort Lauderdale include the Riverwalk Arts and Entertainment District which also features great shopping and dining, the Broward Center for the Performing Arts, the Museum of Discovery and Science, the Florida Grand Opera, Stranahan House, the Fort Lauderdale Historical Center, and the Museum of Art. Fort Lauderdale is also known for its exciting night life with all of the best night clubs and bars in the colorful district of downtown Fort Lauderdale. Another practical advantage to living in Fort Lauderdale is having access to the Fort Lauderdale International Airport. With great state parks and green spaces such as the Fort Lauderdale Beach State Park and tons of superb golf courses, the beach is not the only way to enjoy the great outdoors in Fort Lauderdale. Information in regards to Fort Lauderdale real estate and homes for sale or other listings may have come from a cooperateive data exchange service. All rights reserved. Information deemed to be reliable but not guaranteed. The data relating to real estate for sale on this website comes in part from a cooperative data exchange program of the multiple listing service (MLS) in which this real estate firm (Broker) participates. Listing broker has attempted to offer accurate data, but buyers are advised to confirm all items. We provide all information about Fort Lauderdale homes for sale and real estate or other listings as is with absolutely no warranties. This site will be monitored for 'scraping' and any use of search facilities of data on the site other than by a consumer looking to purchase real estate, is prohibited. Feel free to contact our agents to find a great Fort Lauderdale specialist.